A place to share my handcrafted cards and other papercraft projects. It's challenge time once again over at Christmas Cards All Year 'Round, and finally I found some time to actually participate with a card. 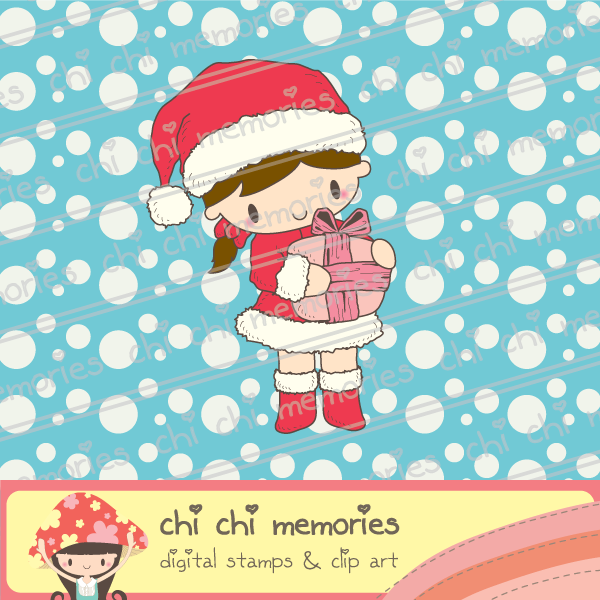 Our sponsor this month is Chi Chi memories . 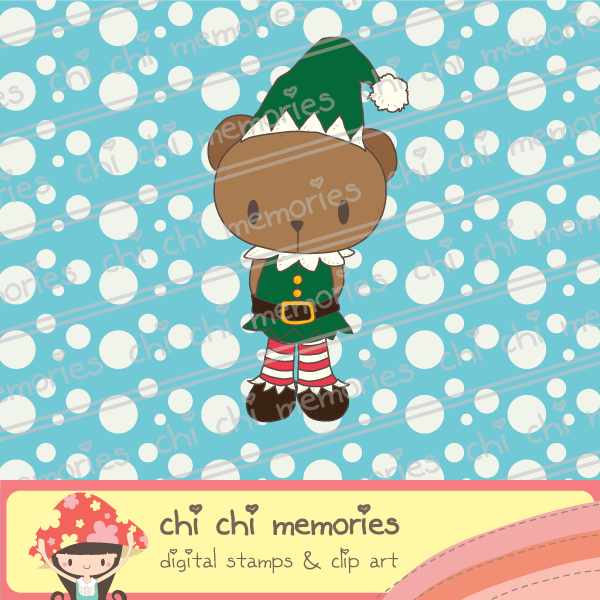 They have provided us with some cute images to work with this month. You can purchase these images and others over on their web shop. As always I was pressed for time so I quickly digitally coloured the image then fussy and assembled it on the card with a die-cut, ribbon, pearls and some patterned paper from my stash. Do head over to CCAYR and check out the rest of the creations from the design team. Hello everyone, it's been awhile but I thought I would finish up the year with a card for our challenges over at Christmas Cards All Year Round. Ok I know it is only the 1st of December but given my track record for the year and the fact that I'm off overseas in a week this is probably my final card for 2013. I have however made an early New Year's resolution to take one day a week for myself next year and create at least one card. Fingers crossed it all goes to plan. This was a pretty simple card. I've cut the stocking from felt. The background die is a Spellbinder one- A2 Filigree. The cardstock and patterned paper is Bazzill and the verse stamp is from Sunshine Designs. Head over to CCAYR and check out all the other lovely samples from the DT. It's challenge time over at Christmas cards All Year 'Round and finally I found some time to make a card. 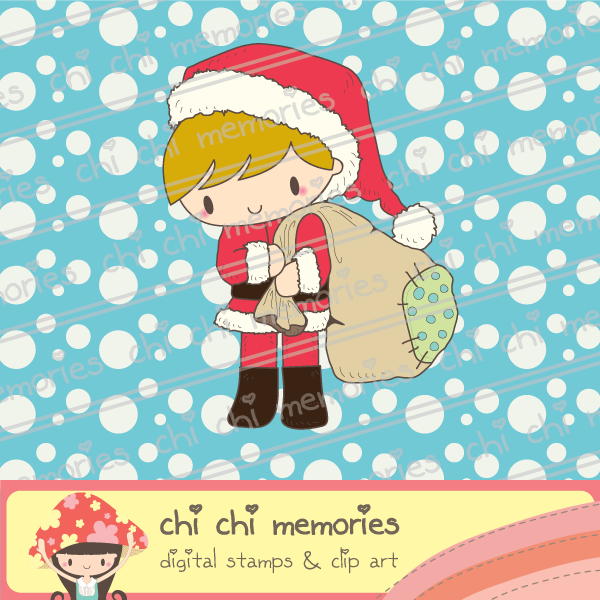 The theme this month is Santa. The papers on this card are from Meg's Garden. Do head over to the blog and see what the rest of the DT have come up with. Well it certainly has been a long time since I last posted. I've been very busy and haven't had much time to craft for myself. I have been doing the odd project mostly for the magazines but nothing that I have been able to share with you here. The last project I did for myself was a card for my mum who celebrated her 90th birthday in January. I went to CHA in Anaheim so was lucky enough to be able to get away from work and fly up to Canada to spend her birthday with her. 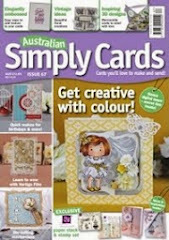 You can check out the details over on the DownUnder Inspirations blog. 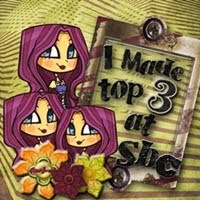 I'm doing a little bit of cardmaking today so hopefully I will be back with another post shortly. Here is my latest card for DownUnder Direct. I finally managed to get the Bitty Blossoms die and I must say I'm loving making flowers using it. They are so easy and very effective. For the complete list of products used head over to DownUnder Direct Inspirations. Here is my latest card for DownUnder Direct. The die is Venetian Accents and although not a Christmas die works very well for elegant Christmas themed projects. For the complete list of products used visit DownUnder Direct Inspirations. 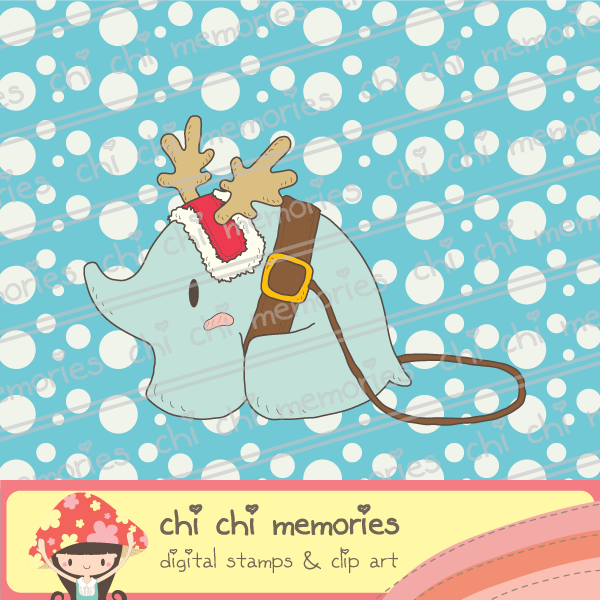 Here are a couple of cards I made for mid month inspiration over at Christmas Cards All Year 'Round. Our challenge theme is to use a traditional Christmas image with non traditional colours or traditional colours and a non traditional image. Not sure what this second image is called but it is from Stamp It. Head over to CCAYR to see what the other DT members have come up with. I grew up in Kingston, Ontario Canada. My passion for travelling brought me to Australia in 1988 where I met my husband Richard. We were married in 1990 and I moved to Cairns Australia where we lived until 2008. My interest for paper crafting began in 1998 with the purchase of a few stamps. I opened my retail business in 1999 first as a home based business then as a retail shopfront. After two expansions and 7 years I decided to close the shop front and run the business as an online shop. All content (including text, photographs and projects) is copyright Tracey Orchard. My original artwork is for personal use only and may not be copied for publication or contest submission. You are welcome to use my free cutting files and free digi stamps to make your projects either for personal use or for craft items for sale. However please do not distribute my files to others, rather send them back here so they can download the files themselves. If you use the files for projects on your blog or website please include a link back here. Also if you do use my files I would love for you to leave a comment. I hope you enjoy my files.